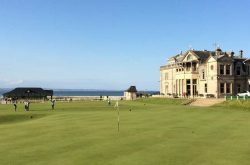 On this page we would like to introduce you to a number of popular Scottish Golf Tours. These combine some of the world’s finest golf courses along with carefully selected accommodation. 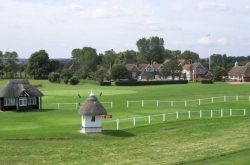 These tours can be booked as they are but we would recommend you contact us for a customised golf tour quotation that suits you and your groups particular requirements. St Andrews Old & New, Carnoustie, Kingsbarns, Turnberry, Royal Troon & Prestwick. 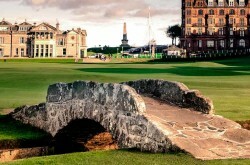 Day 1: Arrive in St Andrews, Scotland. 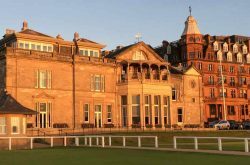 Check into The Old Course Hotel, Golf Resort & Spa for 4 nights. 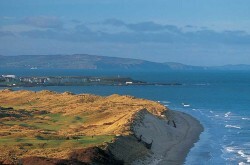 Day 7: Play The Ailsa Course, Turnberry. Day 1: Arrive in St Andrews, Scotland. Check into Rusacks Hotel for 3 nights. Day 4: Play the Kings Couse, Gleneagles. After golf, transfer to Inverness and check into Culloden House Hotel for 4 nights. Day 8: Depart Scotland for home. St Andrews Old and Castle Courses, Crail, Carnoustie, Royal Aberdeen & Cruden Bay. Day 1: Arrive in St Andrews, Scotland. Check into Fairmont St Andrews for 4 nights. Day 5: Play Carnoustie. Transfer to Aberdeen and check into the Malmaison Aberdeen for 3 nights.